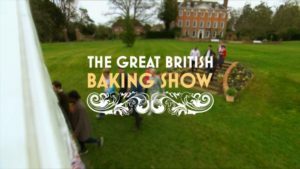 To launch the fourth season of its series The Great British Baking Show, PBS called on 2C Creative (“2C”) to create a full episodic campaign capable of capturing the show’s style of charm, humor and suspense–from the judging duo of Mary Berry and Paul Hollywood, to Mel and Sue, the hosts, to 12 of Great Britain’s most talented amateur bakers. The campaign (2C’s third consecutive for the series) was tasked with highlighting the culinary masterpieces baked on the show, spanning classic British favorites to exotic creations from around the world. Successful in the U.K., where it is known as The Great British Bakeoff, this series has broken numerous records. Its U.K. finale attracted an audience of more than 13 million viewers, giving it the highest ratings since the World Cup final and making it the most-watched TV show of the year in Great Britain. The Great British Baking Show has also emerged as one of PBS’ most popular programs in the United States, with its third season the network’s most-streamed program last summer. In producing the U.S. campaign, which encompassed both on-air and social media components, one of the biggest challenges 2C faced was getting the music just right–light for certain spots, big and semi-suspenseful for others. The team reportedly devoted many hours to finding the best music cues. Not only did 2C create 30- and 20-second network/station promos for the season launch and following nine episodes (plus an episode 9-10 combo spot for the finale), but the creative agency also delivered social versions for YouTube and Instagram. Additionally, 2C created a series of three social media supercuts, based on popular elements from the show. Watch campaign highlights HERE.